Hello, I there anyone who has drawings of the propeller steeringwheel and hub or wants to help me 3D scan it ? I would like to fabricate a few . Last edited by F Spider; 29-01-2017 at 23:36. So much want. I hope this project can become reality. @Jasperdd has it already become reality? I have seen the propeller steering wheel produced by Jasper. It is really a magnificent piece of art and it includes also the needed hub. Last edited by Koencito; 23-06-2018 at 10:43. Correct, love the result of the steering wheel project. 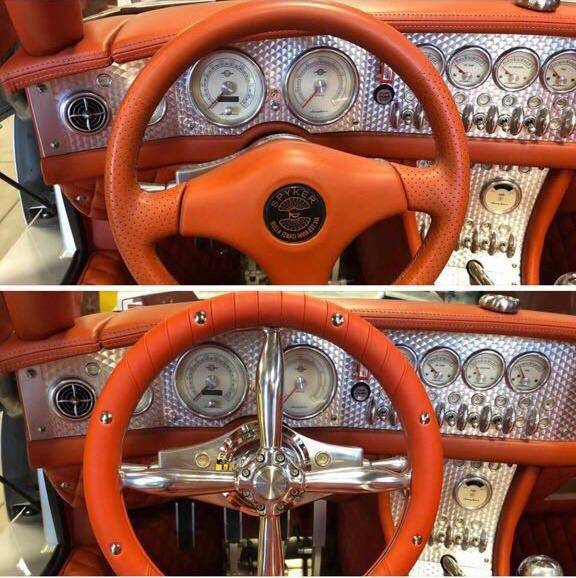 Jasper, I hope you left that little difference on the re-done steering wheel, such that the original ones can be distinguished from the copies??? It is hard to see what is original and what is replica..